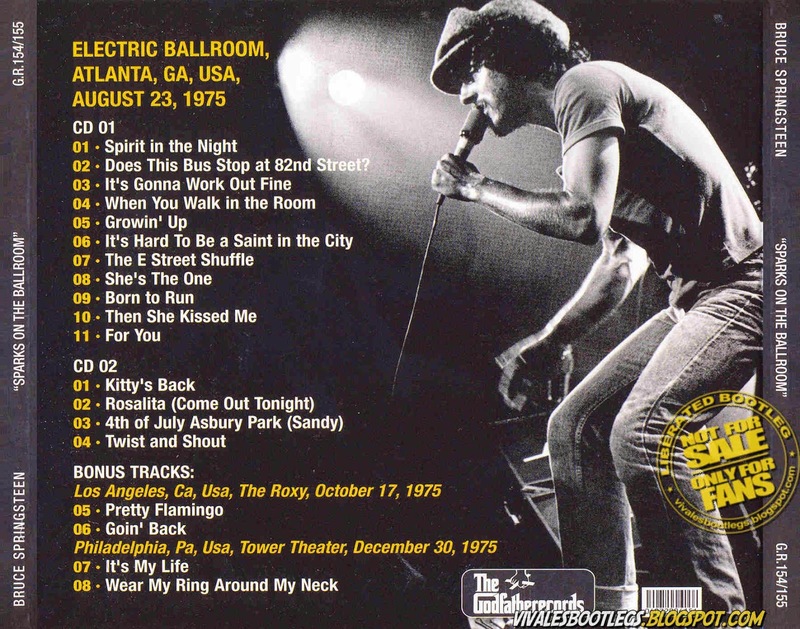 Recorded Live at Electric Ballroom, Atlanta, GA, USA - August 23, 1975. Files: 19. :: Size: 327,96 MB (mp3) | 869 MB (flac). Notes: Bonus Tracks: Los Angeles, CA, USA, The Roxy, October 17, 1975 and Philadelphia, PA, USA, Tower Theater, December 30, 1975. Final night of Springsteen’s 3 night stint at the club. First confirmed "Does This Bus Stop At 82nd Street for the tour, and last known "Then She Kissed Me" until 2008. The above-mentioned 15 song setlist (which may be the complete show - it’s certainly close to it) is taken from a soundboard recording of one of the three Electric Ballroom shows during this residency - the specific show has yet to be positively identified but it is now generally listed by the collector community under the final night of August 23rd. This audio has a long, somewhat disjointed collector history - 9 of the tracks first appeared in the '80s on a vinyl bootleg called ‘Atlanta Georgia 1975' (no label). Years later a few more tracks from the show appeared on the CD boot 'It's Gonna Work Out Fine' (Scorpio). More recently all 15 known songs from the show have appeared on the CD boot ‘Sparks On The Ballroom' (Godfather). 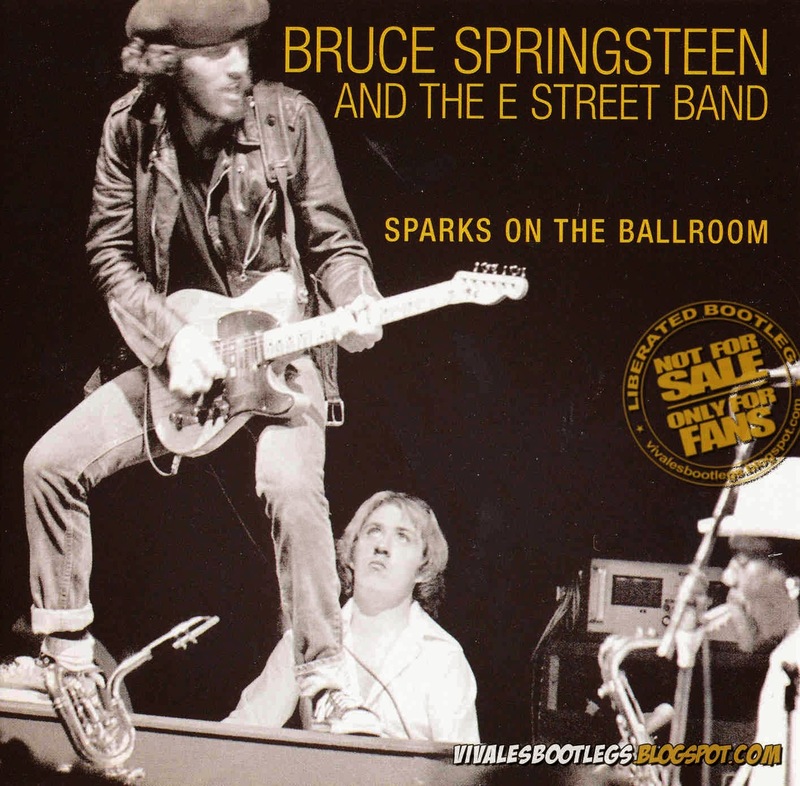 However it should be noted that there have always been significant flaws in the source tape of this show available to bootleggers - both “Born To Run” and “She’s The One” suffer from wobble and several other songs (“4th Of July, Asbury Park (Sandy)”, “The E Street Shuffle”, “It's Hard To Be A Saint In The City” and “Rosalita”) suffer from nuisance edits and cuts.<-(Info taken from brucebase).